The Nuclear Energy Encyclopedia provides a current, comprehensive and authoritative reference for mature nuclear technologies. By introducing new ideas that expand the frontiers of nuclear science research this vital reference explains where nuclear energy science and technology came from, where they are today and where they may go tomorrow. There are few scientific disciplines today which do not encounter energy related questions, problems, dilemmas and obstacles. This is because, simply put, mankind requires water and oxygen for life and depends on energy to survive and prosper. While there has been an endless search for new ways in which to create energy, the manner in which the world is energized has continued to be either hydrocarbon based, biofuel or nuclear. This reference does not address political or socio-economic aspects of nuclear energy. It focuses firmly on scientific research development and advances which will shape the destiny of the nuclear energy for future generations. Steven B. Krivit, Editor-in-Chief, is an investigative science journalist and editor who specializes in nuclear energy. He is also a subject matter expert and international speaker on low-energy nuclear reaction research. He is the editor and publisher of online magazine New Energy Times and has contributed to and/or edited publications for Elsevier, American Chemical Society, and Royal Society of Chemistry, among others. Jay Lehr, Series Editor, is science director of The Heartland Institute, a free market think tank in Chicago, where he writes a monthly column titled All Things Nuclear for Heartland’s publication Environment and Climate News, which is sent to every elected state official in the United States. 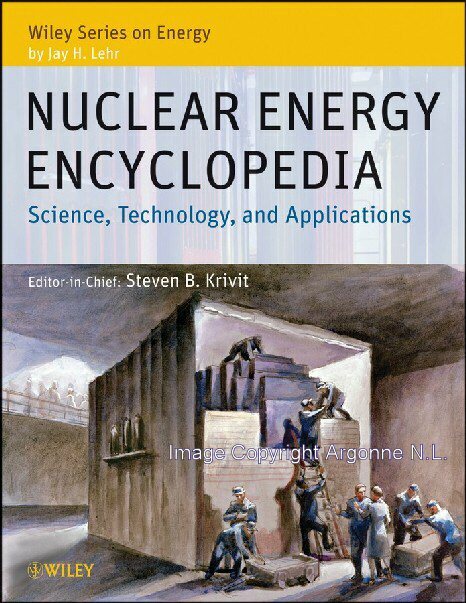 You can purchase individual volumes of the Nuclear Energy Encyclopedia. Please reference ISBN 978-0-470-89439-2 and mention promotion code 17033 to receive your 20% discount! Contact Jennifer Rella (jrella [at] wiley.com) for more information.